TorrentEditor.com is the easiest way to edit torrent files online. Add, update, remove or change trackers. Edit creation date, created by and comments. Quickly see what is in a torrent before loading it. Change trackers that are no longer running. Prepare an existing torrent to post to a new tracking site. Verify the torrent contains what it says it does. 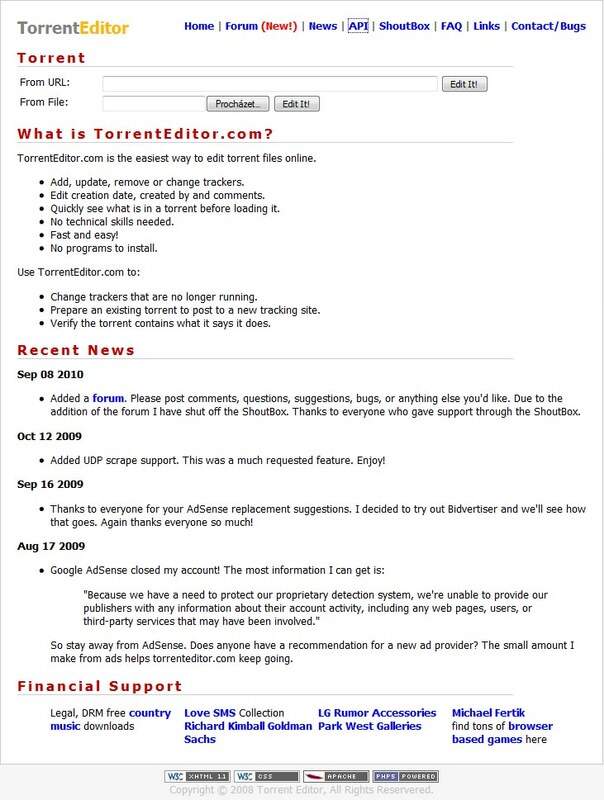 If you need more information please contact the developers of Torrent Editor (Torrent Editor), or check out their product website.